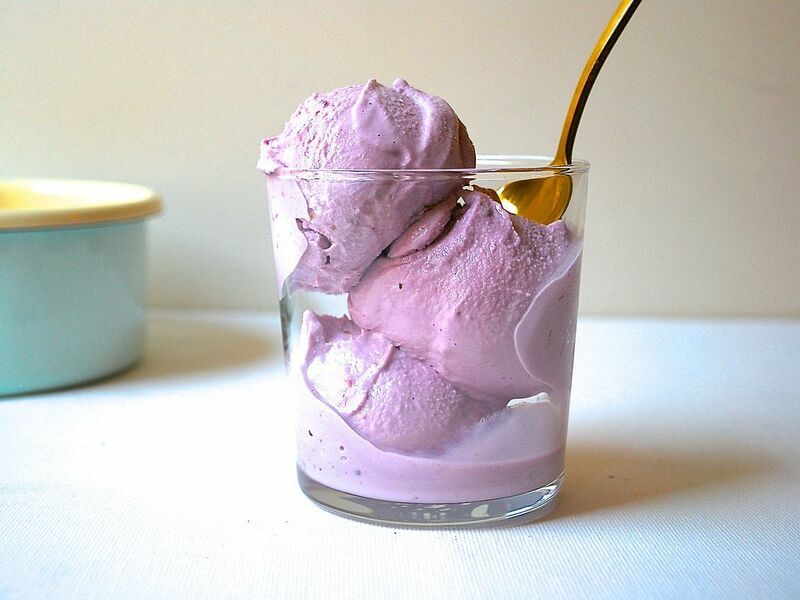 Today: A spectacular summer ice cream recipe with just two steps and five ingredients. What do you use if you don't have an ice cream maker? Do you have this recipe with just sweet , creamy lemon? Childhood favorite that I can't find anywhere??? Put the condensed milk, lemon zest and lemon juice in a bowl and whisk together by hand until fully combined, then whisk in the water and limoncello until smooth and well blended. That is one beautiful spoon! 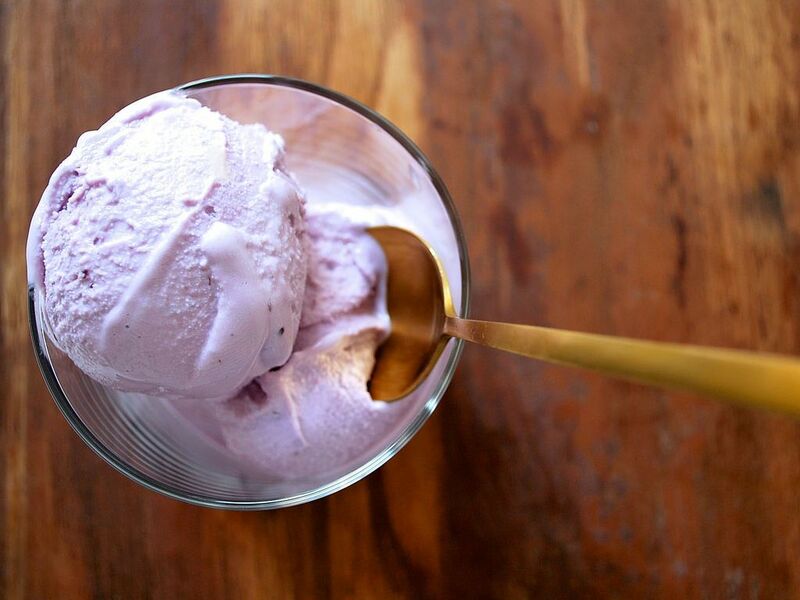 And eating from gold flatware can improve the taste of sweet things like this ice cream (thanks, Gastropod! https://gastropod.com/episode-1-the-golden-spoon/). Recipe sounds delicious, but the snack in your bio sounds messy. How does one slather a smell, anyway? It sounds lovely and I will definitely make it. We usually have no-cook ice cream and it's full of flavour - lots of fresh fruit (peaches or nectarines particularly), whizzed with delicious Yeo Valley Organic natural yoghurt the churned with skimmed condensed milk, and a couple of handfuls of toasted flaked almonds swirled in to the ice cream containers before they go in the freezer. Low fat, delicious, minimum ingredients. What quantity of berries is needed to get 2 cups of pureed berries? This looks so creamy and delicious! 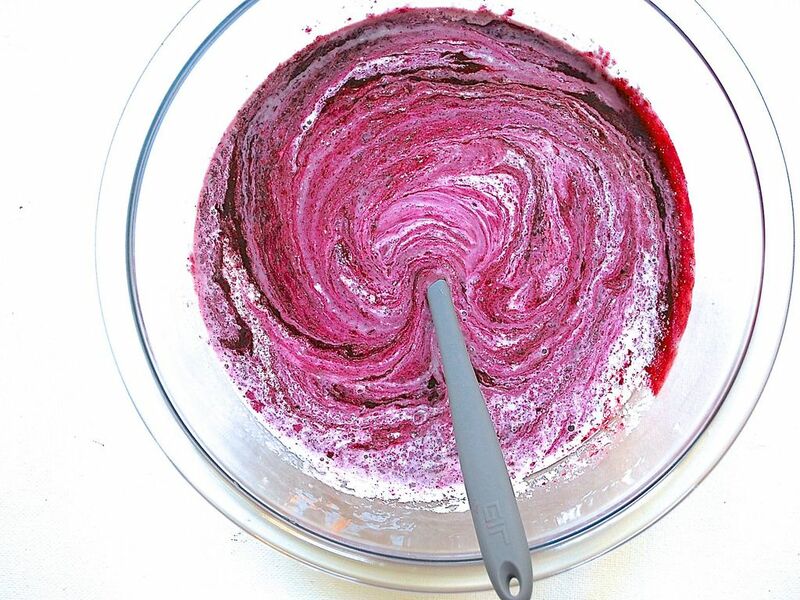 1 pint of berries should make approximately 1/2 cup of puree, give or take! But -- don't worry about having exactly 2 cups. It's not too precise of a recipe. 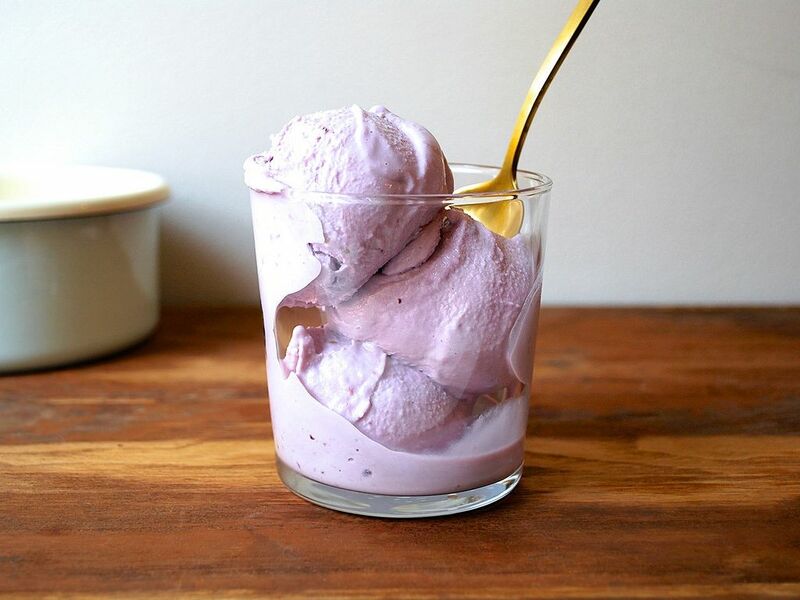 If you have a little less, it'll still be great, just less strong on the berry flavor. Hi, does it have to have the lemon juice, or is that just for flavor? It's usually called half-cream in the UK I believe! Half whole milk and half light cream. Thanks. I'll try it before July 4th when I'll need it. OK What is a batch? ?1 pint,1 quart, 1 gallon?? How many scoops or servings ?? This recipe will make about 2 quarts! Isn't 2 quarts equal to a half-gallon? Yes! Thanks Kathy. Was just confirming for Rhoda that it does in fact yield that. LOL, thanks... was wondering if my math was off...it's been a long day. Is there anyway to make this without the condensed milk? I'm lactose intolerant, and while cream (which I would substitute for the half-n-half) doesn't bother me, condensed milk does! Condensed milk can be made with other kind of "milks" by cooking out a lot of the water to make it more syrup-y like. Almond milk or coconut milk can be condensed, just go low and slow with the heat, then let cool in the fridge before using. Thanks!!! I also found a recipe online to make sweetened condensed milk out of lactose free milk. Can't wait to try this yummy looking ice cream! Oh, good. Glad you found something that you can try for a substitute. Happy summer! Mmmmm.... imagining condensed coconut milk!! Fantastic. This looks yummy, and my blackberries happened to be loaded with fruit.